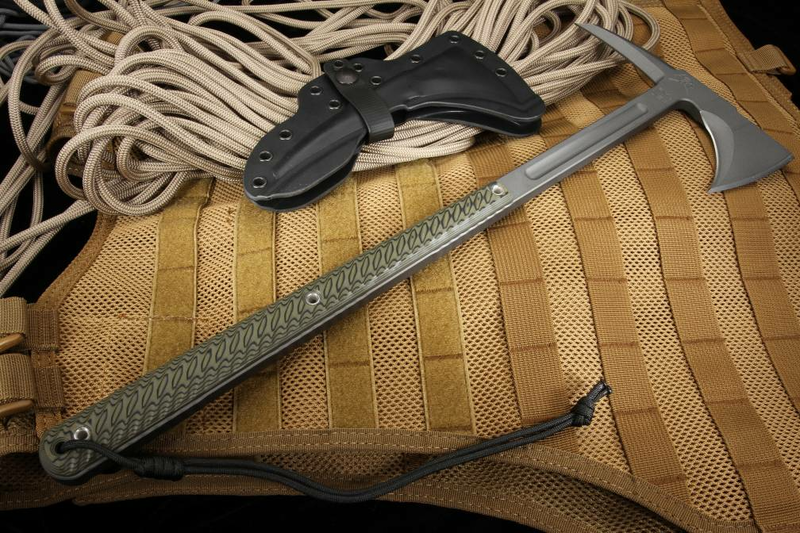 The Eagle Talon Special Forces Tomahawk saw action in Afghanistan by late 2001. Since then Ryan has crafted hundreds of Talons for those elite soldiers, worldwide. Many Special Forces Groups, SEALS, Delta Force, Security Forces, Marines, Army, Navy, Bomb Squads, and the Department of Justice has been spotted handling an Eagle Talon with the other necessary equipment that they carry. The American-made Eagle Talon is a full-sized tactical tomahawk. The primary edge is sharp as is the bottom edge of the head; additionally, the spike end of the hawk is sharpened. The multiple cutting edges as well as the sharpened point , provide a variety of cutting and chopping actions. The build of the tomahawk is full tang construction with a weight reducing grove down the shaft of the handle. The full 3d machined handle is of rugged and impact resistant G10. The size of this RMJ axe provides you with the space to use this two-handed for maximum impact as a breaching tool. A key component of this tomahawk construction that it is differentially heat treated to produce a cutting head that is harder with a Rockwell of 54 RC and the neck and the tang of the hawk is springy and incredibly tough 30 RC. 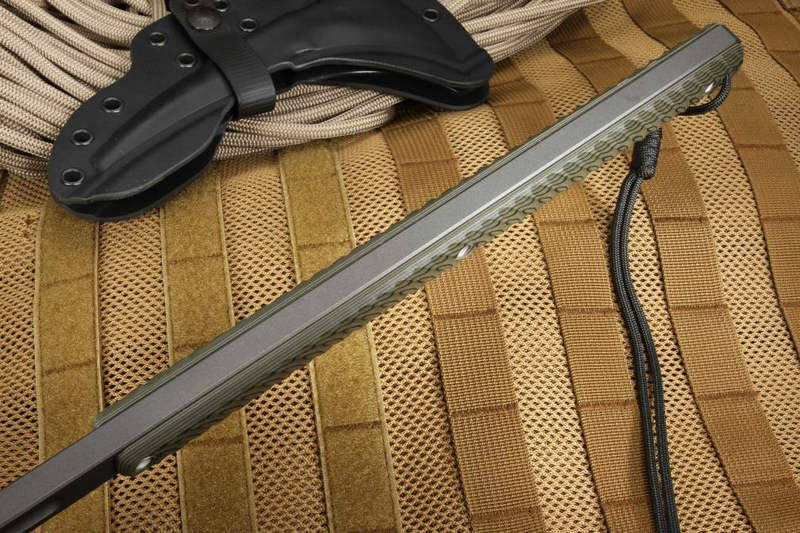 This heat treatment is incredibly important to the long-term function of the hawk; giving the user the best of both worlds: the edge retention of a high RC with the toughness of the handle and tang at a lower RC. The Tomahawk, which has 300 years of use as not only an effective weapon but also an essential, reliable tool in the field, has many selling points compared to a standard knife. With a tactical tomahawk, the user can choke up on the Eagle Talon for a better grip with a cutting power that is multiplied several times based on the leverage of wielding the Eagle Talon with that long handle. It can be used for climbing with a forward cutting edge is flat ground for general cutting purposes. The beard of the tomahawk is hollow ground and sharpened, which allows the user to hook and rip the target, simultaneously. The all-steel design ensures that there will never be a head-handle separation. The G10 handles are incredibly durable, and the tomahawk is impervious to nearly everything, and they provide an excellent grip whether wet or dry. The spike can be used for general hole punching and is capable of punching through a standard Kevlar helmet. The Eagle Talon is equally important in urban warfare as it is in the mountains and forests. In wooded environments, the Eagle Talon can be used for climbing, chopping wood, digging and clearing brush. 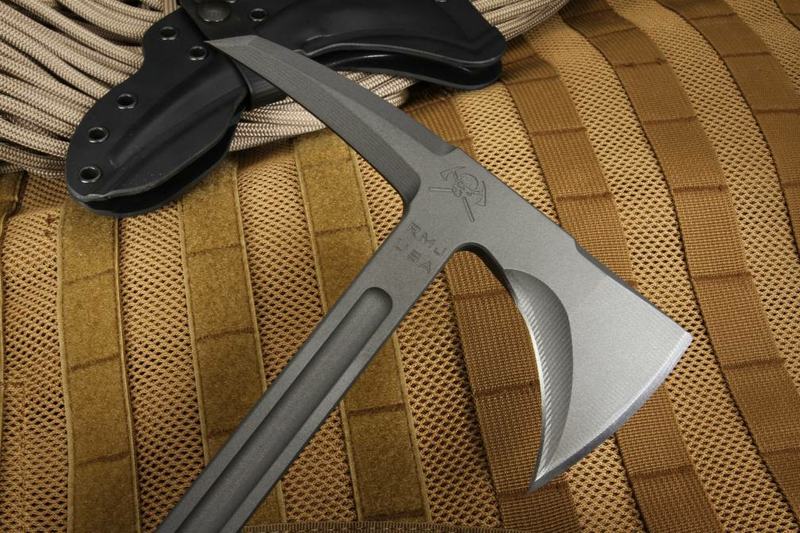 For non-wooded terrains and non-tactical situations like urban living, the Eagle Talon Tactical Tomahawk works as an entry and entry tool for those tight situations. It can also be used as a rake in a pinch for gardening and can even be used to chop through a standard cinder block wall. 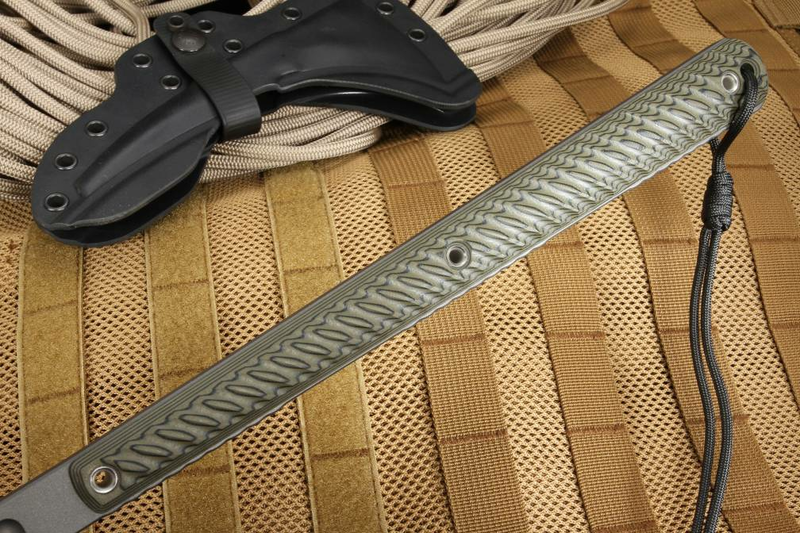 RMJ Tactical offers a 100% lifetime guarantee. Extreme caution should be used because of the multiple sharpened edges both handing and when removing it from the sheath.